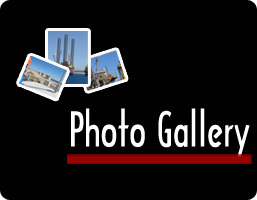 Petrogulfmisr Fields are located in the Central Gulf of Suez, approximately 70 km north of Hurghada city. The concession area contains four (4) main Fields; North Geisum, North-East Geisum, South Geisum, and Tawila-West. The Fiscal Year 2018/2019 is the Twelfth year of Petrogulfmisr's journey since being established. Petrogulfmisr is the Operating Company referred to in the Concession Agreement entered into as per Law No. 93/2007 for Petroleum Exploration, Development and Production at Geisum & Tawila West Area, between the Egyptian General Petroleum Corporation (EGPC), Pico GOS Petroleum Company Limited and Kufpec (Egypt) Limited.